by Down Beat Magazine in 2004, Milne is one of the most important and respected voices in jazz today. His highly recognizable group Dapp Theory blends funk, hip-hop and jazz with seamless precision. Their current release, Layers of Chance [ObliqSound/Contrology - 2008], features fresh compositions by Milne that blend various instrumental textures, infectious grooves, layered with lush harmonies and poignant lyrics. from two resourcefully contemporary pianists, both drawn to quixotic interrogations of harmony and timbre. In 2007 Milne released two unique piano recordings. Dreams and False Alarms [SongLines] features deeply considered re-workings of long-remembered pop/rock/folk/reggae classics, reaffirming and expanding Milnes creative process as a jazz improviser, while Scenarios [Obliqsound], an intimate duo with harmonica virtuoso Grégoire Maret, presents him in a more textural, almost cinematic series of encounters  complementary expressions of a questing musical personality. Milne collaborated with tap dancer/choreographer Heather Cornell to create Finding Synesthesia, which premiered at the London Jazz Festival in November 2007. Together they combine a wide and unexpected range of sounds and influences, to integrally weave the texture and sound of tap into the instrumental ensemble. In addition to his multiple projects, Milne tours and records with trumpeter Ralph Alessi, teaches at The School for Improvisational Music, and is an adjunct professor at New York University, The New School University and The Banff Centre. In 1990, after completing an Honors degree in music at York University (where he studied with Oscar Peterson, Pat LaBarbara, and Don Thompson), Milne received a Canada Council grant to study at The Banff Centre. At Banff, he met saxophonist Steve Coleman, who encouraged Milne to move to New York. In 1991, after a year in Montreal picking up valuable sideman experience with Joe Lovano, Archie Shepp, and Ranee Lee, Milne moved to New York and joined Colemans core unit Five Elements. M-BASE associates Cassandra Wilson and Greg Osby also recognized his talent and invited Milne to perform with their groups. The long association with Coleman offered Milne the unique opportunity to develop a completely unprecedented harmonic and rhythmic approach to the piano. The experience of responding to and complementing Colemans unique style night after night played a major role in the development of Milnes individual approach. After six years gaining international recognition with Colemans various projects, Milne stepped out on his own to conquer his own musical frontiers. In 1995, Milne independently booked his band on two extensive grass roots North American tours. Following the first tour, he recorded the self-produced cassette release The E is Silent [Contrology - 1995], featuring Gene Lake, Matthew Garrison, and Audrey Martells. 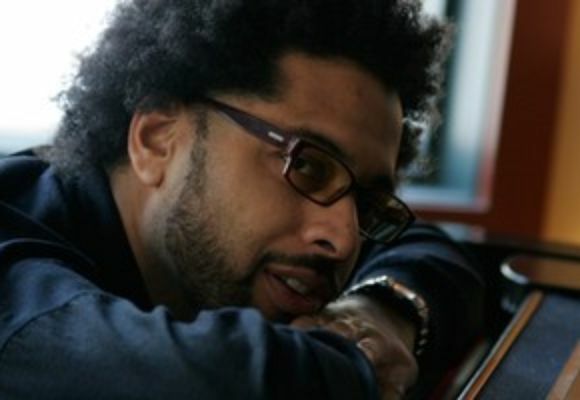 In 1997, he recorded his debut CD, Forward to Get Back [d'Note Records - 1997], which featured performances by Steve Coleman alumni, as well as two duo performances with Coleman himself.
. The music seeks to explore the truths that exist in universal wisdom, while creatively expressing lifes journeys. In 2001 Milne explored these truths in an ambitious songwriting collaboration with Canadian folk-rock icon Bruce Cockburn which were featured on Dapp Theorys 2003 Concord Records release Yall Just Dont Know. Andy Milne has established himself as a distinctive voice at the heart of New Yorks creative jazz scene, performing throughout the world in numerous settings, including collaborations with a range of artists including Ravi Coltrane, Carlos Ward, Carla Cook, Sekou Sundiata, Avery Brooks, Geri Allen, Dianne Reeves, Robin Eubanks, Red Mitchell, and Sonny Greenwich. His innovative rhythmic approach combined with his extensive harmonic lexicon place him at the forefront of young pianists poised to carry on the lineage of creative masters like Herbie Hancock and McCoy Tyner.